"Burning man, how was it?" Asks everyone. Words cannot properly describe the week I’ve just had at the Burning Man festival, but I’ll give it a shot. I am an avid festiver go-er, though never have I experienced an event remotely like Burning Man. You may have heard the event described as a concert, a giant workshop, a festival, a conference, an art exhibition, a temporary commune, an experiment, or a bunch of naked people camping in the desert. I agree 'Yes and no' to all such round ups. Let me explain.. Burning Man is the world’s largest temporary city. It is close to a hundred thousand people together in the desert for one week, held in Nevada's Black Rock desert of the USA. As an annual event, Burning Man brings together people's celebrations of art, music, workshops, dance, yoga, and creative gatherings on a mass scale. All leading up to a traditional Saturday ceremony where a symbollic man sculpture is set alight 'burning the man.' Art is a big part of the experience with a dedicated theme each year, such as Time, The Floating World, The American Drean and this year 2014 was Caravansary. So what does one actually do at Burning Man? This is the kind of festival everyone experiences differently, so I'll give you the break down of mine. On reflection, my time does sound like some very warped children’s story. Most people travel to Burning Man with a group, which I did, and each day we would start by sharing tales of the previous days amazingadventures. “..First thing inn the morning, I hopped on the back of a mechanical dragon taking me to a wedding in the most beautiful temple I have ever seen, right in the heart of this desert festival. Then, I climbed inside a car decked out as a potion bottle for a ride to a yoga workshop, which halfway through - I left. This was so I could dance along the road with an alien marching band, leading me to a butterfly woman who gave me the best hug of my entire life and told a happy tear jerking life story. The butterfly woman gave me some refreshing fruit and drinks, then introduced a man in a rubber suit who discussed the concept of reality, love, and perception, along with the meaning of life. At this point, to my bewilderment, out thousands of people at Burning Man, my own burning man family walk in the door. No need to quesiton how they found me. A simple smile, nod, hug and understanding were given. ‘Well of course you found me, its Burning Man's Black Rock City’. Night descends, we link arms and walk onto the beach. Breathtaking fire and lights are a beautiful sight for us, then in the blink of an eye my family disappear into the night again. Heart racing and completely overwhelmed, I don't panic, rather quickly make new friends and jump inside a naughty teapot installation with them. My new friends and I catch a lift to a surprise show from Skrillex and Major Lazor. It was fantastic. We dance and sing for hours until a flaming octopus came along and showed us the path to a volcano with a slide inside. Soon exhausted, we found reprieve in a library where all books are written by patrons. So in quiet contemplation each of my new friends sit and write ..until the sun rises behind an art sculpture showing two giant wooden lovers caught in embrace. I took the hand of a leopard princess and walked home across the desert. Bones weary and with the lights and sounds of The Playa fading behind us, we collapse into blankets and pillows and drift off to sleep. Soft sounds of The Doors and Star Wars theme music are a distant lullaby. For a second, I look up and smile, knowing that life is great and that tomorrow it all begins again. But first sleep. 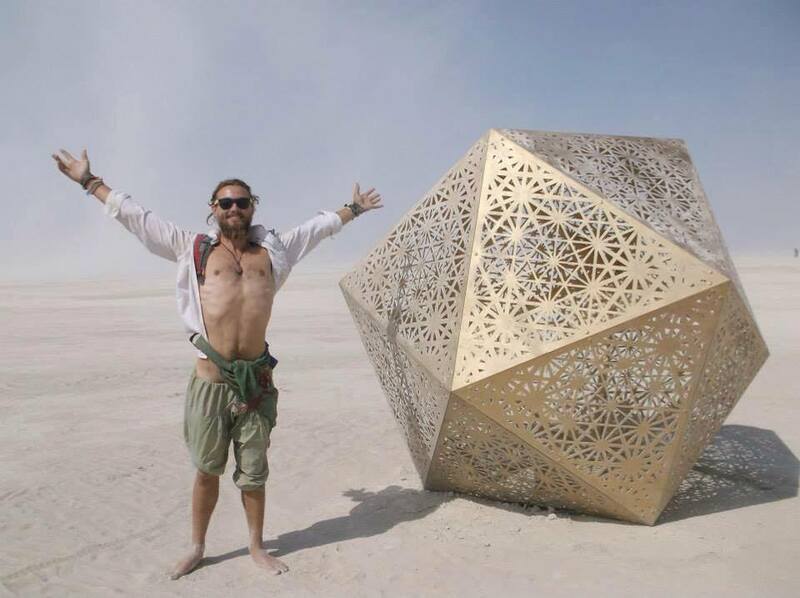 This was only one day at the event, I can barely scrape the surface of feelings, emotions and profound happenings which Burning Man present to you. People are together in the desert not just surviving as they say, but thriving. It is the most profound expression of human potential that I have ever personally witnessed. It is a place in the world truly showing just how wonderful life can be, for all people - if simply given a space of freedom, of love, acceptance and support. I'd recommend the experience to anyone.